— My son invested in the stock market last October, and after five months has seen his investments up 20%. 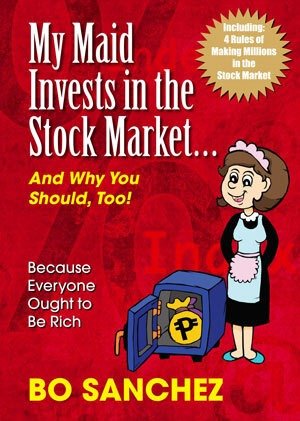 I originally signed up to get the stock market advise, but today, I eagerly await for the twice-a-month PowerTalks MP3 download more than the regular stock market advise. Listening to the recordings daily on my Blackberry, while driving has changed my way of thinking, made me a much happier person, and has inspired me to take action to be Truly Rich! Friends, if you want to be Rich, or if you want to be happy, or you want to be both rich and happy, simply join the TrulyRichClub.